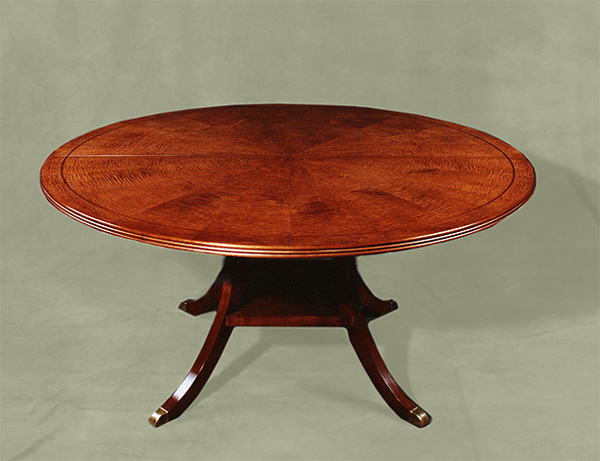 This 60" round table opens up to 9' long with the addition of 2 leafs. The table is built of highly figured Maple veneers matched in a sunburst and diamond pattern and solid Maple wood with Walnut Inlays, resting upon a saber legged pedestal base with brass feet. The finish is stained and lacquered, lightly distressed then waxed and hand polished.